I have relatives who now live in northern New Jersey. 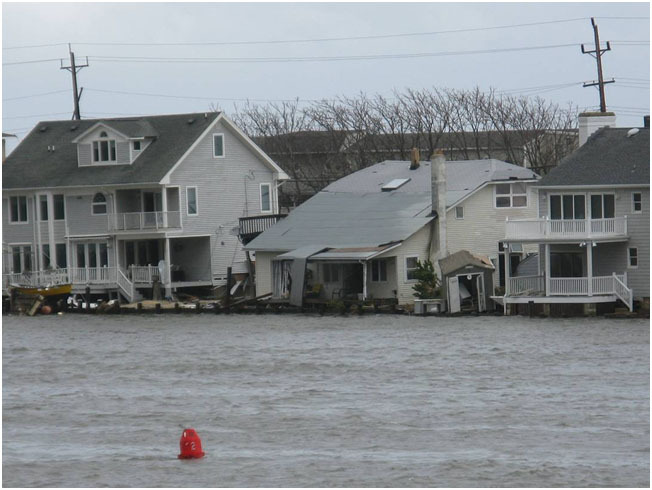 Thankfully, neither they nor their home suffered damage from Hurricane Sandy, although they experienced power outages and gas rationing. The town in which they live did not have too much damage either – mainly tree damage – but towns within a couple of miles are in very bad shape. Those close to the water have had very serious damage. Here are a couple of pictures they took right after the storm. 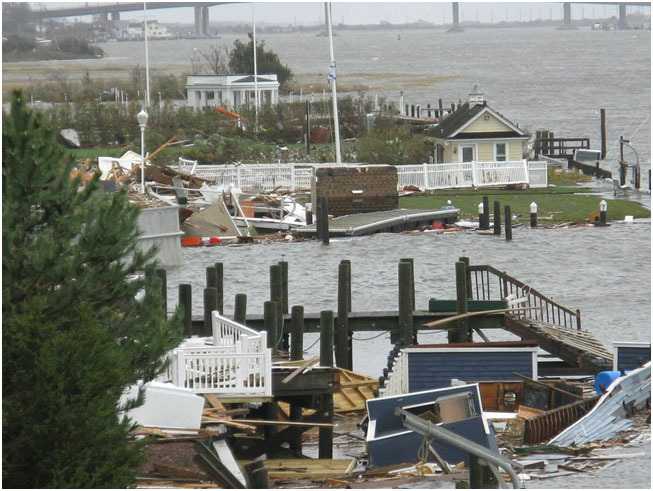 They were taken from the town of Rumson, looking over the bridge on the Shrewsbury River, into the beachfront town of Sea Bright, which sustained major damage. This entry was posted in Uncurmudgeonized and tagged comments, damage, Hurricane Sandy, life, New Jersey shore, pictures. Bookmark the permalink. A remind that I still have to donate to disaster relief! Thanks for sharing and providing the nudge. 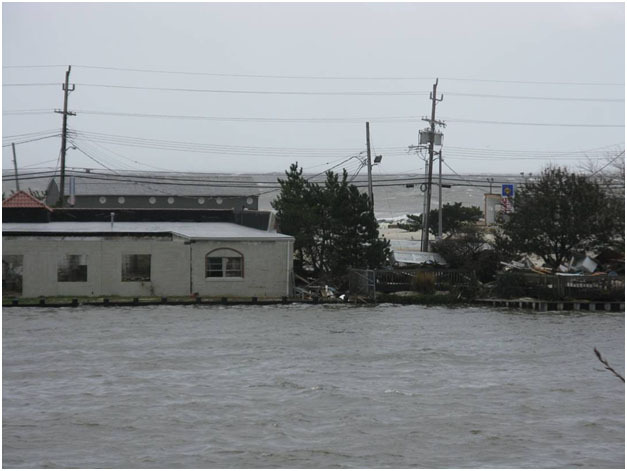 Friend of mine lived in Highlands, NJ, right on the beach, until September. The entire place is gone (Today Show highlighted the area). 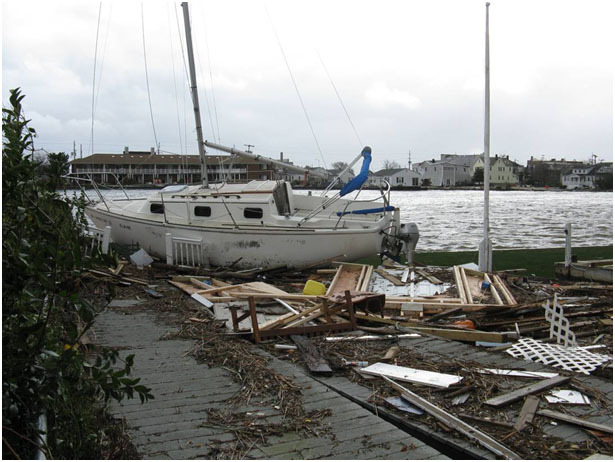 SOme people question which was worse, Katrina or Sandy–but, I don’t think there are comparisons, each brought their own particular destruction and reminder that Nature reminds us how vulnerable we are to her power, regardless of our advancement in our development as a species. It certainly was a horrific storm, and I expect a good many people had to find inventive ways to ‘make do’ in the aftermath. It’s a relief to know that your family is ok, but my word, what kind of mess they have to deal with. Even for the families who did alright, it’s clear that it’s going to take a long time for things to get back to a new normal. Thanks for sharing the photos. Wow. None of my family have shared pictures yet. I was so worried about my grandma without power, but I guess she and a lot of other people made it through okay. It’s easy to become complacent and believe we’ve “controlled” nature with our modern homes and conveniences. The true power of the natural world is shocking when it’s unleashed like this. Glad your relatives are okay. The folks out east have been on my mind a lot this past week. I used to summer on the Jersey Shore – Bayhead, to be exact. New Jersey is a wonderful state with strong, resolute people. The damage this storm has done, is sad and devastating on so many levels. Lots of memories have been washed away. The people living there will, God willing, be able to rebuild their lives. In the meantime I hope and pray that they are safe, warm, and have all that they need to survive the coming months. I didn’t click “Like” because I don’t “Like” what happened. But glad all your peeps are safe and sound, Curmudgeon! How terrible: Rumson is a lovely town we visited last summer. Their art galleries are interesting to see, and the restaurants are good too. I hope they escaped without the water-related damages that homes near the River suffered.